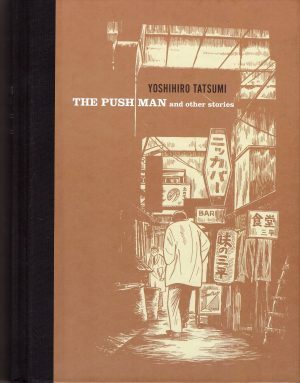 The Push Man and Other Stories is the first of three nicely designed small collections presenting the short stories of Yoshihiro Tatsumi in English. 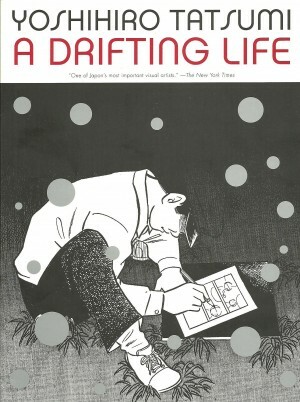 The publication was spurred by Adrian Tomine’s admiration for Tatsumi’s work, and he notes in the introduction how despite these stories dating from 1969, they have a very contemporary feel. 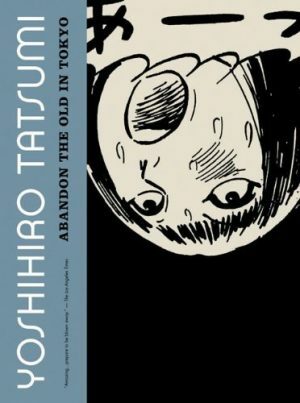 This is in part because Tatsumi was a ground-breaker in Japan, being the first to present stories that delved into real life emotional content as a spur for what are largely tightly produced crime dramas. The Push Man’s story is presented halfway through the collection. He’s employed by the Tokyo underground railway system to push the final passengers into overcrowded carriages in order that the doors can close. 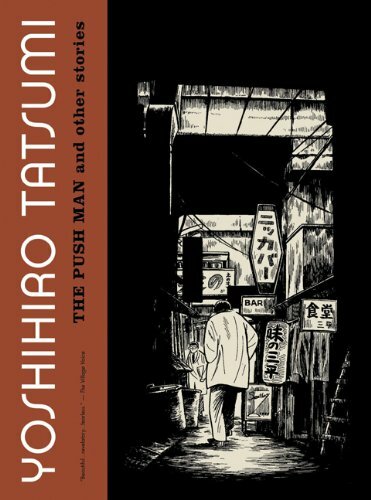 He’s an anonymous figure that thousands of Tokyo inhabitants would cross paths with on a daily basis, yet without ever considering his life, which Tatsumi lays bare in eight pages. It’s a form of more trivial fantasy than much of the remaining content, yet still with a tug on the heart strings. A similarity characterises many of the protagonists, but they’re different people, forms of an everyman Tatsumi distilled from the working class district he lived in when producing the stories. Their jobs reflect their environment, featuring often, sometimes defining their character and almost all menial and unpleasant. Demanding wives are another common thread, and Tatsumi doesn’t shy from laying bare sexual relationships, often failing, sordid or demeaning. These lives are masterfully unfurled. ‘Black Smoke’ is a typical set of emotionally draining pages. 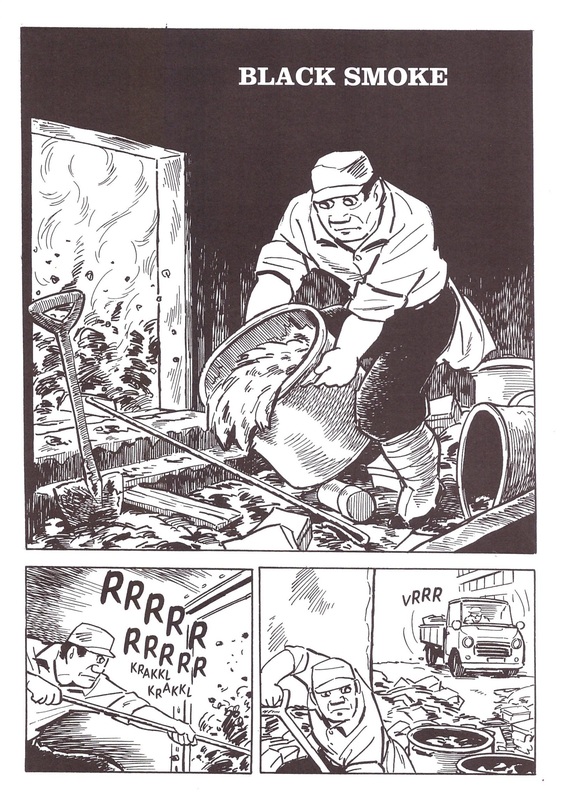 Kin works at the municipal rubbish incinerator, a filthy, heat-searing job, Tatsumi’s depiction precise enough to induce an involuntary recollection of the smell of festering rubbish. Kin’s wife is alcoholic and sleeps around, taunting her husband. The second half of the story has Kin make a ghastly discovery and Tatsumi ties this into Kin’s marital problems. It’s drawn in a very matter of fact fashion, denying any flourish or glamorisation, and this path defined Tatsumi’s career. 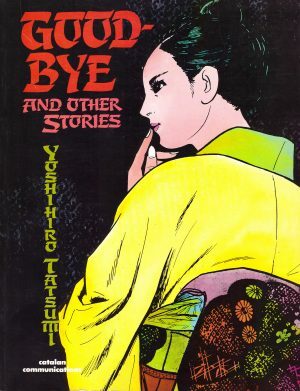 It was Tatsumi’s wish that his work be separated by the year of production, so the following collections Abandon the Old in Tokyo and Good-Bye encompass his work from 1970 and 1971 respectively.